US Masters betting tips & predictions – the Masters is one of four major championships in professional golf. 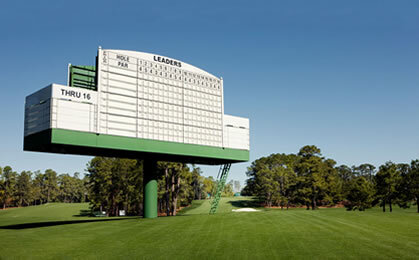 Unlike the other majors, the Masters is held each year at the same location, Augusta National Golf Club. The tournament is an official money event on the PGA Tour, European Tour and the Japan Golf Tour. The field of players is smaller than those of the other major championships because it is an invitational event held by the Augusta National Golf Club. Check out the Masters Qualification Requirements here. Bobby Jones designed Augusta National with course architect Alister MacKenzie. The layout is one of the finest and most visually spectacular courses in the world. Augusta is home to the famous stretch of holes known as Amen Corner (Holes 11-13). For a tree-lined course, Augusta National is deceivingly wide off the tee. History tells us that there is a premium on scoring on the Par 5’s making Driving Distance an advantage but not absolutely crucial. Zach Johnson laid up to all the Par 5’s when he won in 2007. Also, with a number of right to left doglegs, an ability to shape tee-shots is a distinct advantage. Players will need to be dialled in with their iron play to hit the greens and more importantly the right part of the greens to setup birdie opportunities. But by far and above the most important attribute is putting. Any player aspiring to don the Green Jacket will need to putt brilliantly on the lightning-fast sloping greens. Course knowledge cannot be under estimated. Those with experience of the undulating greens are usually separated from those making their debut. Invariably greens will be missed making Scrambling a key stat to consider this week. Augusta National is not a catch-up course so a fast start is imperative. The key to contending at the Masters is to attack the Par 5s and avoid bogeys on the Par 4s and Par 3s. Last year, Patrick Reed closed with a final round -1 (71) for a total -15 (273) to win the Green Jacket and his first major. He finished one stroke ahead of Rickie Fowler with Jordan Spieth a further shot back. A bogey free 65 in the third round put Rory McIlroy just three strokes behind the overnight lead. But the Northern Irishman faded on the final day with a lacklustre +2 (74). He was the only player in the Top 16 to shoot over par on the final day. Reed is the ninth first-time major winner in the past 12 Masters. He finished the week T13 for Driving Accuracy, 6th for Driving Distance (2 measured drives), T21 for GIR and 2nd for Putts per GIR. In 2017, Sergio Garcia became the third Spanish winner at Augusta National with a birdie on the first extra hole following a sensational battle with Justin Rose. The pair had finished tied on -9 after closing rounds of 69. Rose overturned an early three stroke deficit to lead by a shot after 16 holes. However a bogey at the 17th opened the door for Sergio who narrowly missed a chance to win with a birdie on the 18th. The players returned to the 18th with Garcia emerging victorious after holing a 12 foot birdie. The Spaniard was 6th for Driving Distance, 2nd for Driving Accuracy, T2 in GIR and topped the field for Putts per GIR. He racked up 1 eagle, 14 birdies and carded only 7 bogeys for the week. Garcia finished 20th for Birdies and T1 for Bogeys. In 2016, Danny Willett was the surprise winner of the Green Jacket. He was the first European to win at Augusta since José María Olazábal’s victory in 1999. Going into the final round the Englishman was level par, three shots behind the overnight leader Jordan Spieth. Spieth led by five shots as he approached the 10th but dramatically dropped six shots in three holes. This included a card wrecking quadruple bogey on the Par 3 12th. Willett capitalised on Spieth’s misfortune and completed one of only two bogey free final rounds shooting a -5 (67) to capture the title. He finished the week T32 for Driving Distance, T26 for Driving Accuracy and T16 for GIR. For the week he had 51 Pars, 13 Birdies and 8 Bogeys. In the 2015 Masters Jordan Spieth emerged victorious. He finished -12 for the week on the Par 5’s and won with a record-setting performance. He tied Tiger Woods’ tournament low -18 after breaking the 36 and 54 hole scoring records along the way. He was T2 in GIR, T10 in Scrambling and 1st in Birdies shooting 28 in total. Like with all Majors, it is worth holding back some wager money to have a bet in running after 36 or even 54 holes are completed. In a nutshell, hitting Greens in Regulation is paramount, Scrambling is challenging, Par 5 Scoring is crucial and racking up pars on the Par 3s and Par 4s is sufficient. Rory McIlroy 7/1 (E/W) – has finished in the Top 10 in each of his last five starts at Augusta National (T8-4-T10-T7-T5). Won in his last stroke play outing, the PLAYERS Championship, where he was 1st in SG:Tee-To-Green, gaining a massive 13.262 strokes on the field average for the week. Since the turn of the year, he has finished no worse than T6 in six stroke play events. The Northern Irishman currently heads the Tour for both SG:Off-The-Tee and SG:Tee-To-Green, evidence of confidence and being in tune with his game. The time is now to consign his final round 80 in 2011 to the past and complete the ‘career-slam‘. The stars are aligning for the supremely talented golfer. Paul Casey 28/1 – his last four results at the Masters read an impressive T6-T4-6-T15. His Current Form puts him on this week’s radar with a victory in the Valspar Championship among four Top 10’s this year. With a rock solid tee-to-green game he features mid-table in this week’s Stats Analysis. He is also 20th on Tour for GIR, 10th for Driving Accuracy and 2nd for Eagles. By his own admission, Augusta National represents his best opportunity to land his first major. Has the confidence and skill set to make some noise come the back-9 on Sunday. Matt Kuchar 40/1 (E/W) – has good history at the Masters with four Top 10’s since 2012 – T3 (2012), T8 (2013), T5 (2014) and T4 (2017). Easy to forget that he has won twice already this season (Mayakoba & Sony). He also arrives off the back of a very impressive 2nd place finish at the WGC Matchplay and T7 in last week’s Valero Texas Open. Statistically balanced as ever he features inside the Top 5 in this week’s Stats Analysis table. He is also 1st on Tour for GIR and 11th for Scoring Average. Given his skill set tee-to-green, his Augusta experience and form, there is no reason to expect a letdown this week. Great each way value.